who are our sponsors this week. So we want to see your cake cards and projects. 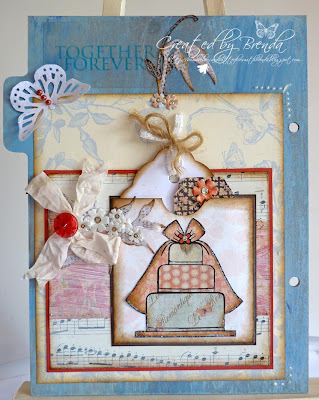 I paper pieced the wedding cake using the Le Romantique G45 papers I have been using on my current wedding book project and adhered it to a small tag pocket and made two tags for it. There is actually another hidden pocket that I might use later behind the coral mount. So now I have another finished page. Enjoy the day and thanks for stopping by. This is beautiful Brenda, the distressing fits it perfectly, someone will be very happy to recieve this! A wonderful design Brenda - love all the tags and pockets. A great combination of papers, colours and shapes - love it! Hope you get to see the Atkinson Grimshaw exh.when it moves to London. 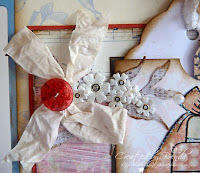 Just fab hun, love the paper piecing loks great! Ah Brenda this is super. I love the colours you have used too. They are all so different again this week. Your pages are fairly coming together now. Thanks so much for playing with Clear it Out. Fabulous page. Love the distressing and ribbon! Thanks for joining us at Clear It Out. just gorgeous!!! I love all the colour tinted edges! This is beautiful, Brenda! 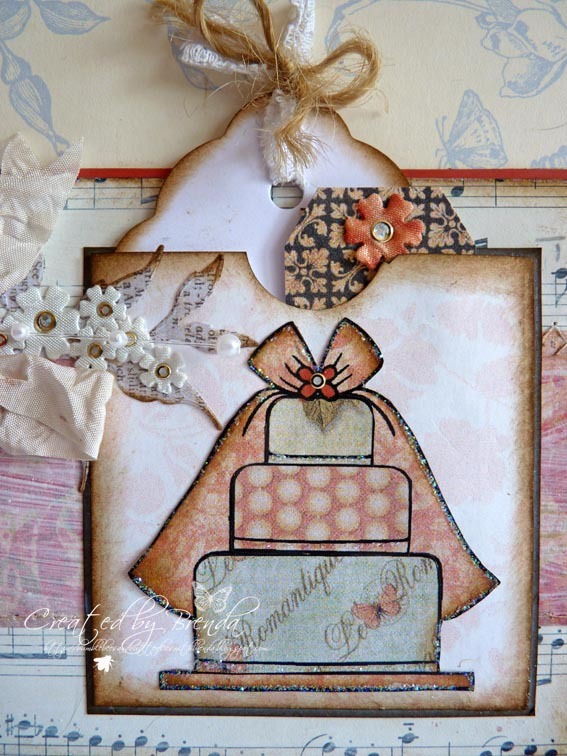 Amazing details and fabulous vintage design! Lovely card! 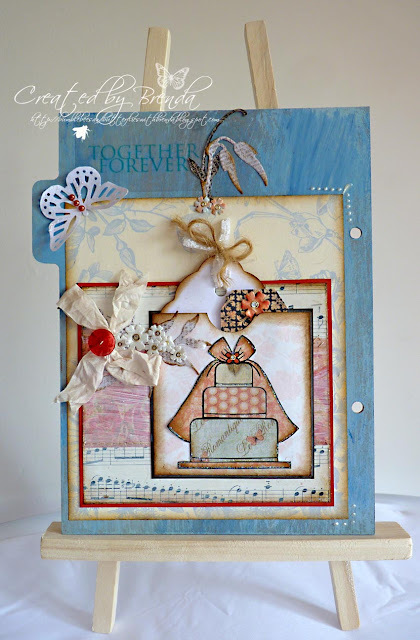 Beautiful card and I love your paper pieced cake. Brenda this is beautiful, I love the shabby/vintage feel and the papers are gorgeous.